The design put on the spotlight NUVALI’s promise of sustainable living and creating living spaces that thrive with the earth. To allow people to experience it for themselves, they were asked to visit NUVALI’s man-made lake and feed the koi fish with an invite that doubles as fish feed. 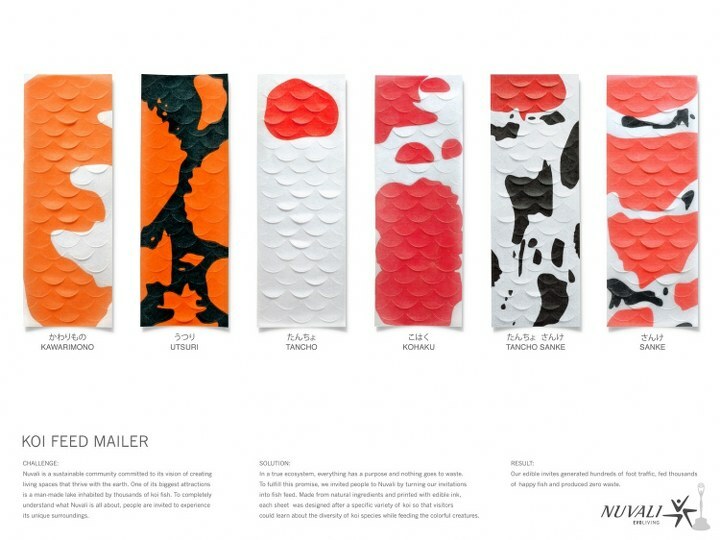 The material was designed after koi fish patterns, made from natural ingredients and printed with edible ink. True to NUVALI’s eco-friendly thrust – zero waste.